I've been at it again, jotting down a list the past little while of a few of my favorite things I've been wanting to share with all of you! If you're a regular HofS reader, then you know I do this a lot, but I can't help it! It's these sort of posts that I love the most! Can you blame me? When you find or experience a good thing, big or small, you just have to shout it from the rooftops, right? Right! So let's get this party started! At the beginning of this year, after doing my Awesomer post, I received an email from Aedriel Moxley. One of the sweetest, prettiest ladies that you ever could meet. Not only that, but she's crazy talented too, and has a shop where she makes amazingly beautiful hand painted plates, mugs and other goodies. 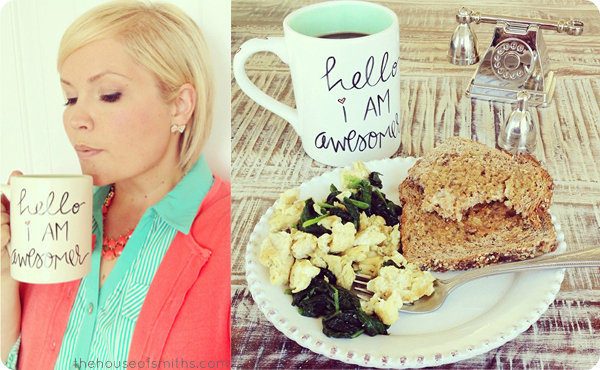 We got chatting, and before you know it, I was a proud owner of a custom "I am Awesomer" mug! I'm in love with this piece more than I probably should be, and you want to know why? Whenever I'm drinking out of it and other people are around, it never fails, they will read the phrase out loud, stating, "I am Awesomer (?)" and EVERY time I get to respond with... "Yes! Yes you ARE!" It's like the worlds most uplifting mug. Not only does it inspire ME but it also gives me the chance to compliment everyone else who reads it! I hate to ask, because I think I know the answer... but does YOUR favorite mug do all that? I'm not a coffee drinker, but I AM a Crio addict. Just like coffee, Crio Brü is a brewed drink. The difference, is that it's completely made from premium cocoa beans that are 100% natural, filled with antioxidants, minerals and theobromine (a natural energy stimulate, that unlike caffeine, doesn't make you jittery). It's low in calories, carbs, and has no fat, sugar, sodium or gluten. My favorite flavor so far has been Vega Reál, but I just ordered some Maracaibo Raw to give it a try. To break it down, essentially, it's like the healthiest form of "hot chocolate" that you can get... and yes, I drink a cup EVERY morning; don't know what I would do without it. For me it works as an appetite suppressant and is about a sixteenth of the calories that my old hot chocolate was. After it's done brewing I just add a tiny amount of unsweetened vanilla almond milk in and a small spoonful of raw coconut crystals (my personal favorite natural sweetener for this drink) to cut some of the bitterness in it... and it's honestly the PERFECT way to start my day. I know you're probably thinking... "Yeah, so it's a cupcake, big deal." Well... it's not JUST a cupcake, this is a C.U.P.C.A.K.E. Probably one of the best that I've had in a REALLY long time (and in case you haven't noticed, I'm not the kind of girl who has shied away from many cupcakes in her lifetime. eehhmm). 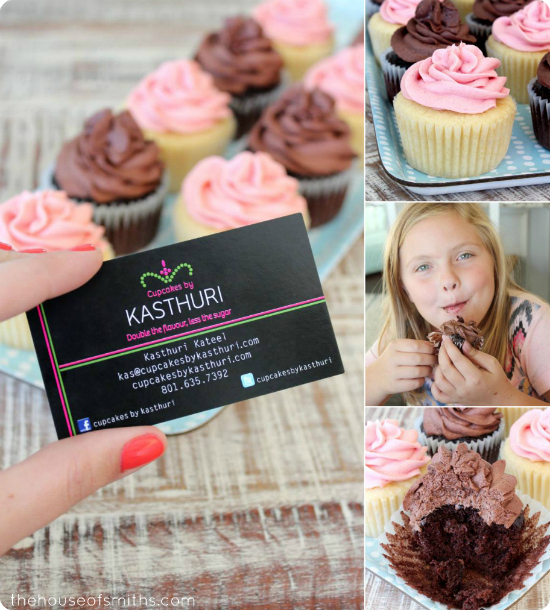 My Mom first told me about these super specialty cupcakes because she knows that our family has tried really hard lately to not buy or eat much of anything that is processed or has artificial ingredients in it, and Kasthuri cupcakes are only made with natural or organic ingredients (cage-free eggs, organic sweet cream butter from pasture raised cows, evaporated cane sugar, unbleached flour and natural fruit, etc...). 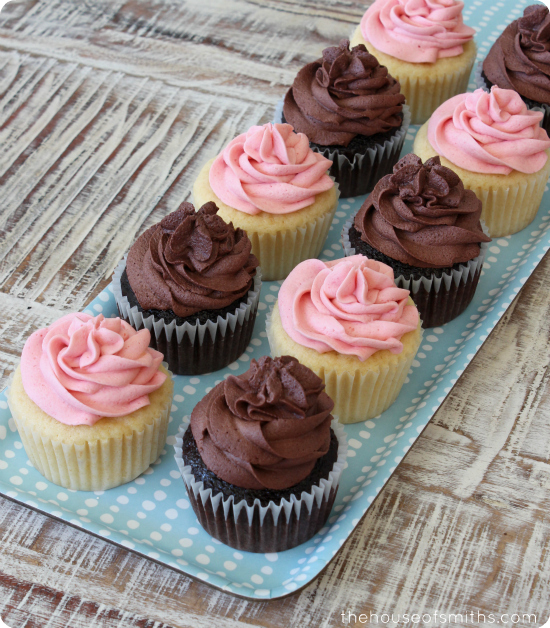 They don't include artificial flavorings, preservatives, coloring or shortenings and have about half the sugar of a typical cupcake, making them so much more flavorful. Truth be told, their intense, deep flavor and higher price point definitely make them an indulgence... but oh baby, it's SO worth it. I'm a minimalist when it comes to the gym; as far as supplies go, that is. No bags or bottles for me, that's too much to keep track of... plus it makes me feel like I have to stay longer if I pack more stuff. bleeehk. My motto when it comes to the gym: Get in, get out, get on with your life! I don't "hate" the gym, but more often than not it's done out of necessity, and not because I WANT to be there. Can I get an amen? That being said, I like to be able to carry everything with me that I need at the gym in basically one hand. Keys (with gym pass on it), phone (for my music), headphone pouch and my sweet sweat band. None of this "put stuff in a locker" business. If it doesn't fit into my jacket pocket, it doesn't come with me. I realized recently that if I was THAT smitten with my "sweat catchin' band" and headphone pouch, I needed to share the idea with you too! I know it's not as glamorous as cupcakes or cute mugs, but there ain't nothin' more annoying than salty sweat dripping in your eyes or tangly headphones when it's workout time... so yeah, this is my public service announcement... you need these things. The End. 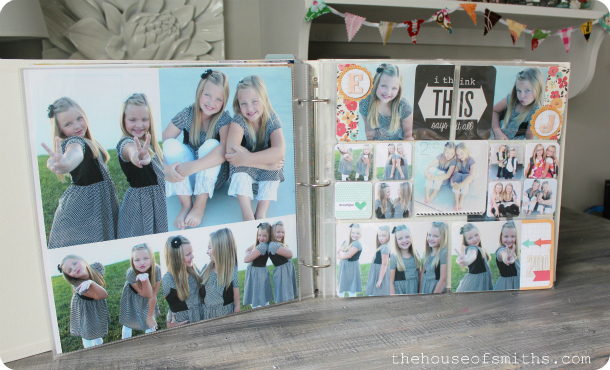 While Project Life's picture journaling system isn't anything new around here, their pretty, solid colored albums ARE. I know it may not seem so thrilling to some of you, especially with all of their cute printed albums they offer already, but for me, I was ecstatic to finally have coordinating albums that I could leave out and display with the rest of my home decor. And since this was one of Cason's biggest requests in our basement, now I can have the best of both worlds! There are lots of different colors, but I chose the white, so they could go anywhere. Who knows where these albums may end up 10 years from now right? A couple of other things to note here. 1. You can get freebies from Becky Higgins here. 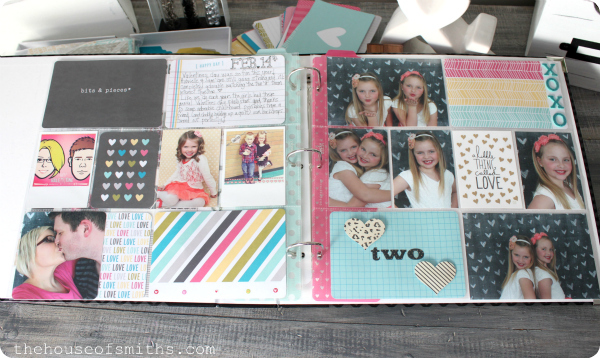 Like album labels and printables. The labels are always helpful for personalizing the spine of each album. 2. Lots of adorable, free smartphone backgrounds are available as well. 3. Project Life is celebrating it's 4th birthday this month, so Becky's blog is chock full with tons of giveaways, journaling tips and more. You've got to head on over and see for yourself if you're a PL fan. Since the rooms in our house are small, EVERY inch is crucial, particularly when it comes to places like my office or drop zones like our entryway. 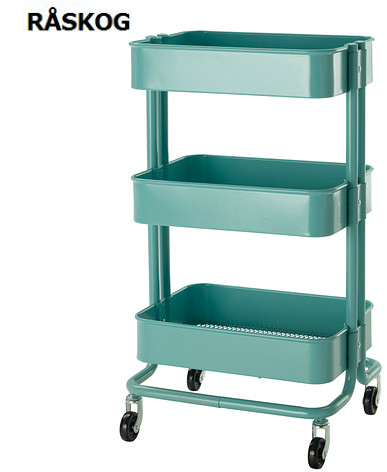 These RÅSKOG carts from Ikea were the perfect storage solution for an empty little wall in my office. They come in dark grey or turquoise and can store lots of stuff, PLUS they have wheels, so they're mobile, which is a big bonus. I think they were originally intended for extra kitchen storage, but would work great for a ton of different things. Craft, sewing and art supplies, extra bathroom storage... the skies the limit! My first printed palette piece was a small pillow with the infamous "It's Awesome Time" quote on it. Then I thought it would be great to surprise Cason with a t-shirt that mimicked the same phrase. 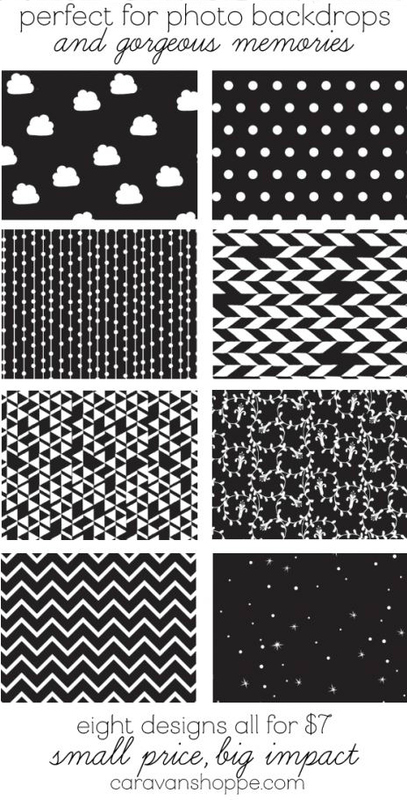 Now, I'm onto their modern, cute prints! Alissa, the trendy, talented owner and blogger behind all this adorable madness is always coming up with new products to swoon over, so you've got to check her store out. PS: Her kids clothing line is super cute too! We've mentioned them numerous times, but they just keep coming out with even better ideas, so it keeps us talkin'! 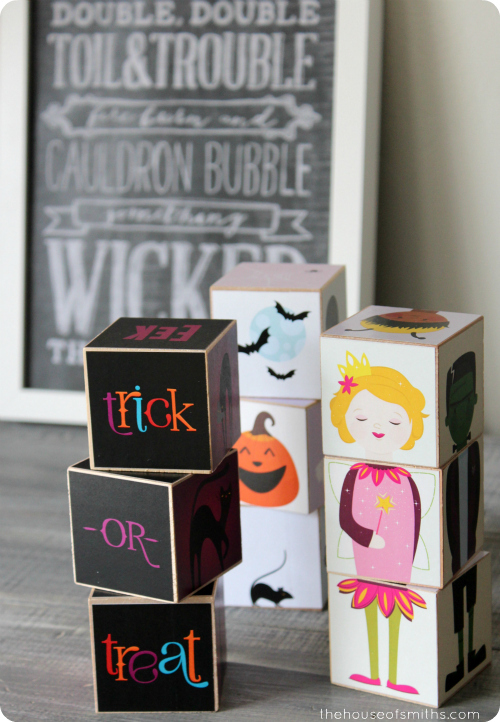 This year the cute Olliblocks came out in a Halloween version, which I had to have for my kiddos (big or small, I swear these blocks keep kids entertained like you wouldn't believe). 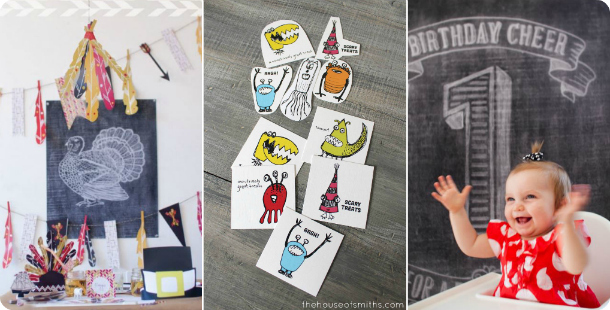 PLUS Melanie and Alma went above and beyond to create eight adorable new background prints that I'm absolutely OBSESSED with! I printed mine at Staples and just picked them up the other day. They'll be perfect for so many things and I can't wait to use them as awesome backdrops for more kid photo shoots, like we did with the Valentines Day backgrounds last year. 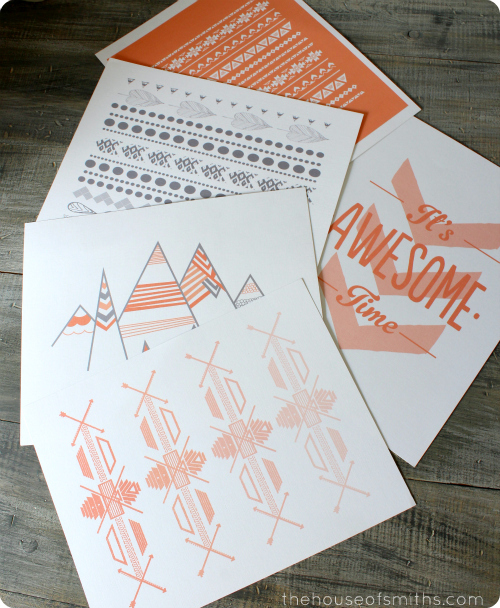 They have a whole freebie page of downloads you will freak over. Spend $25 and save 20% with code "itsaparty"
Spend $50 and save 30% with code "caravanconfetti"
Did you make it? Are there a few things that look like they're worth trying out? I sure hope so, because they really ARE some of my new favorites. ENJOY! I have to try that Crio! I've never heard of it before, but it sounds good. Thanks for sharing! Okay- love the huge mug. I drink my jo in large quantities. 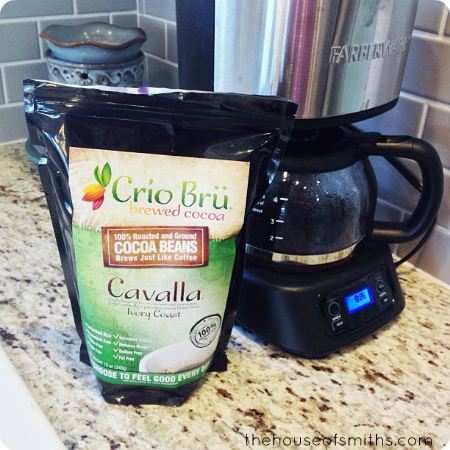 Now that I know that I can brew cocoa in my coffee maker- well that's a game changer for me. YUM. I love all your favorites. 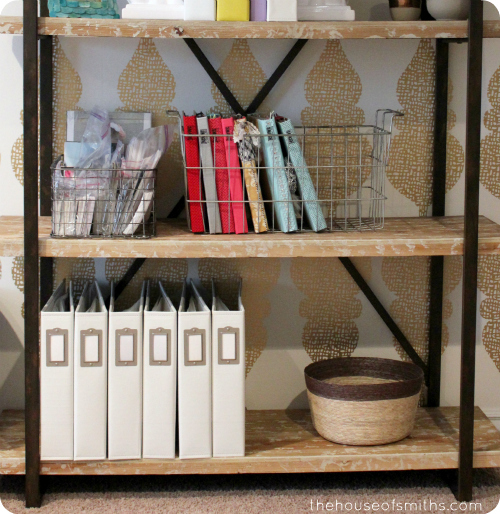 Especially the stuff from The Printed Palette and your cute storage finds from Ikea! Thanks for sharing! Your house is inspiring! I love your favorite things posts! I was peeking around trying to find where you wrote where you get your clothes. I would love to know where you usually shop! I just wanted to take a minute and say how truly beautiful you look in that picture of you sipping from your I am awesomer mug. Your bone structure is enviable. Hmmm, I hope this isn't double posting. I just wanted to comment on how truly lovely you look in the picture where you are sipping from your I am awesomer mug. Your bone structure is enviable. Oh, and I do so enjoy reading your blog. Thank you. I love Caravan Shoppe! Used that same heart backdrop for a photo booth at my daughters class Valentine party. oooooh.. 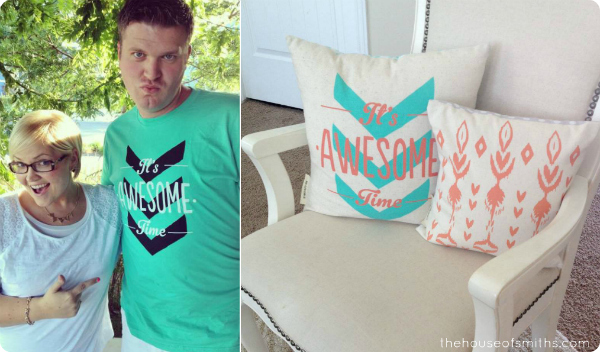 I really, really, no REALLY, want to purchase that "I am awesomer" mug for the girls on my thirty-one team. Love your favorite things and I must rush to Ikea! 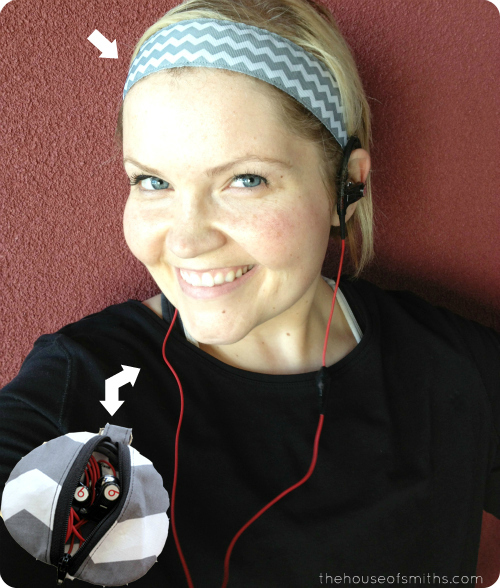 My favorite workout head band is by Sparkly Soul. Never moves, they are awesome!!! WOW a lot of great things. 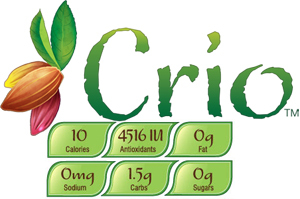 Never heard of Crio but it sounds yummy. Thanks for sharing all of your favorite things. This is a fantastic post! LOVE all of your ideas! Also, on the cupcake note...there is a book called "Food Rules" I skimmed through it at B&N one day a few years ago, and rule #11 was eat all the sweets you want if you make then yourself (I carry that ever so important "rule" with me like it's straight from the encyclopedia). The cupcakes you found I think are perfect because not only are they made from the best ingredients but you didn't dirty one dish! Win!Win! Again, great post! Great list of items!!! Where did you get the shelves that your scrapbooks are on. I am looking for something like that for my living room. Thanks in advance!! 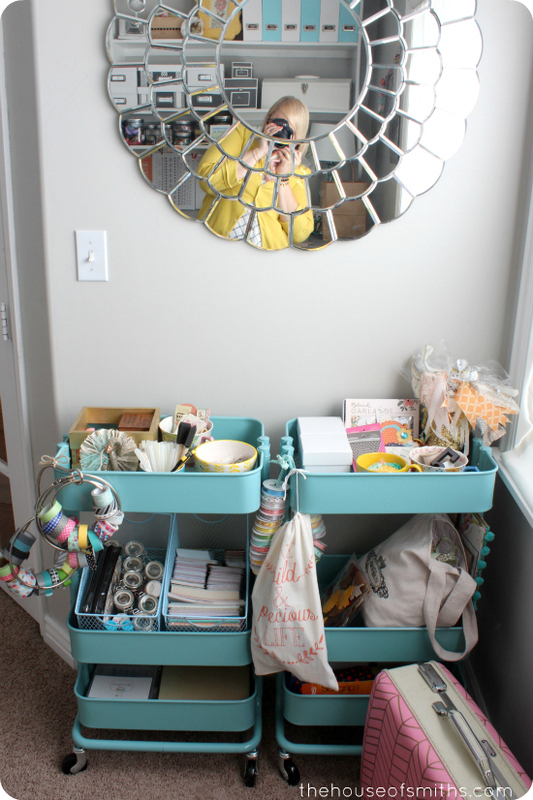 Love that mirror in the picture with the ikea carts - where did you find it? Wow, I am up early and this is a great post ! You have given me sooo many ideas for Christmas! Original and adorable. Love them all and have been wanting to break my coffee habit so ordered the variety pack! BC I could not decide. So loved this post thanks sooo much!! Thank you so much for introducing me to Project Life!!! I LOVE it! I'm just getting started, but you were an inspiration, so thanks! Im really excited about Crio Bru! Thanx for sharing!!!! 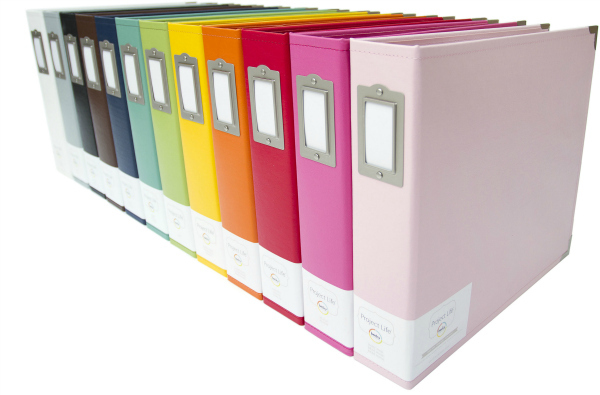 Where did you get the self system that your project life books are on? I love it! Fun! I love lists like this. You look so cute in your chevron sweat band! Makes me almost think about hitting the tread mill again! You look so cute in your chevron sweat band! What a fun and great post! Love the pictures too! ..and where around the SLC area do you buy the coconut crystals?